I Just Found My Perfect Travel Bag! Traveling is something I enjoyed but packing for a trip? Nope! I usually stick with my big backpack when I travel locally and my suitcase when flying internationally. But I always have that one special travel bag that I bring when I explore around and at the same time holds all everything needed for my trip. It must be big enough to hold my camera and makeup kit but not really big enough to lose my passports and plane tickets inside. Plus, I want something light weight that will be a great help when walking around the whole day. 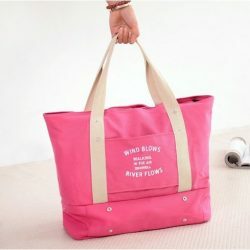 SO when I saw this travel handbag in Bagail.com the other day, I fell in love. 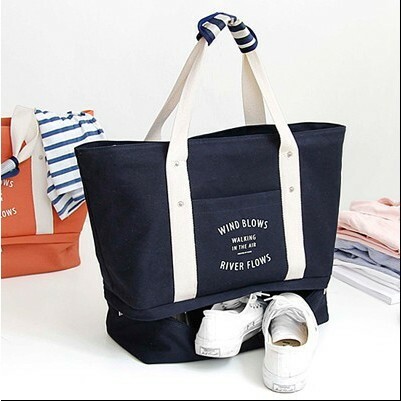 It is made of 100% Canvas and Cotton making it light weight and easy to carry all day. If you are a DIY travel girl like me then you know why we need a lightweight handbag when traveling. Its webbed handles are comfortable and long enough to throw it over on your shoulders. A travel girl needs her bag on her shoulders (i.e. backpack, shoulder bags) because her hands are for maps, cameras, and cute things/food you see on the sidewalk stores. Dimensions: 545*370*160MM. Not big enough but also not small enough. You can fit all your travel essentials here. It has a side pocket that keeps the bag stay on the luggage safely. YES, it is a perfect airport bag as well. It has a side pocket you can put in your luggage handle. No need to carry a bag while pulling a suitcase. That means a lot to us, girls, you know that! It has zippered pockets under where you can keep your shoes or slippers. Well, my favorite part of this bag is the shoe pocket. I have a lot of traveling moments where I wanted to change into slippers like when my feet sore after our palace hopping in Seoul and that horrible long flight to Dubai. But I can’t before because my slippers are in my luggage and it doesn’t fit my cute travel backpack. But with this bag, my slippers have its own place. It comes with 4 colors: Lake Blue, Navy, Pink and Orange. The colors are very chic! The bag is super versatile! If you aren’t traveling, you can use it at work and even in your yoga class! I like the blue one! It looks chic and bagay lng ung size sa height ko ? 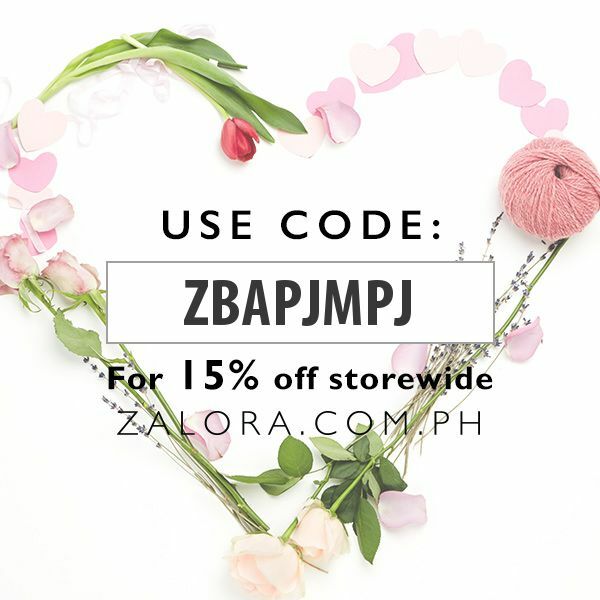 Super affordable pa, i might check them out ? 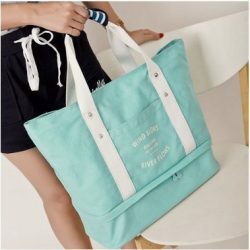 wow!I really like such simple yet elegant bag when I travel.I think I will go for blue bag.I checked their website.The price is really reasonable too.But I couldn’t find the exact locations they deliver.Hope they deliver to Singapore too. Love the shoe compartment. Would definitely go for the Lake Blue bag. So pretty and functional!